The measurement expertise in noise applications is mainly focused towards high frequencies. 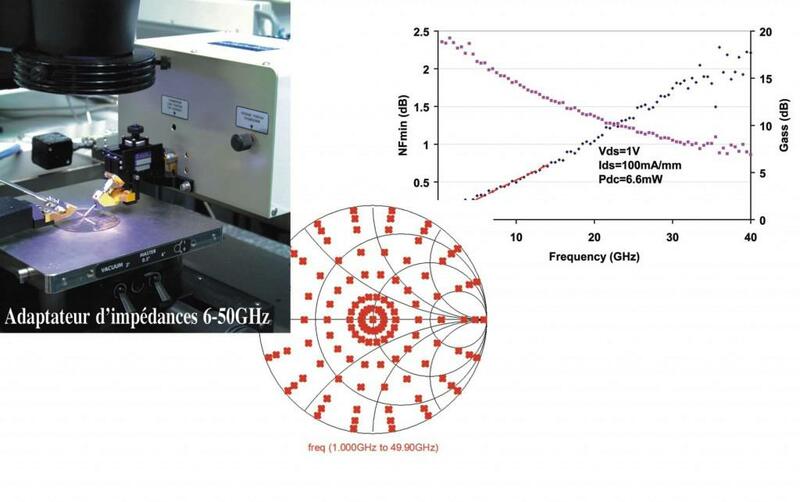 For this, several automatic test benches are available in order to measure the available gain and the noise figure of the microwave devices under probes or in coaxial structure between 10MHz and 40GHz. This kind of measurement could be carried out under 50 ohms or with a microwave tuner. These measurements can also be carried out under probe at 60GHz and in the frequency range of 75-110GHz. The experiment of noise modeling allows one to extract the different noise parameters (opt, NFmin et RN) of the device under test.